Ok, so millennials are taking the heat for a lot of things these days, from living with their parents, to not driving, to the demise of tuna fish. Grant it, this younger generation does seem to have its own set of rules, interests, preferences, and priorities. When it comes to things like Ubers, home meal deliveries, on line shopping and most new things techie, we do owe a debt of gratitude to those born between 1981 and 1997. But then again, can’t the same be said of all generations? I vividly remember my own younger years, being judgmentally scrutinized by my seniors for the often-questionable things my generation brought into the world. I’m a baby boomer, so I’ll let you fill in the blanks, both positive and negative. But I am also a writer of some notoriety and teach classes on writing. As such some of the changes I’ve noticed wrought by these millennials are of a literary nature. Note: not necessarily a bad thing. Specifically, I have noticed a shift in writing style, perspective, theme and technique among literary millennials as well as the previous generation, often referred to as Gen-Xers. I feel this movement away from the more traditional Modernism and Post-Modernism disciplines has become large and strong enough to warrant its own literary classification. Therefore, I proffer: New Millennialism. Spoiler alert, or perhaps jibber jabber warning: The following is about to get very esoteric. Non-nerdy types be forewarned. Intrigued? Check back here in a few days or so for Part Two! PS: Feel free to use the term New Millinnealism with, of course the proper citations, namely... me! I have a new interview that went live today for your listening pleasure. Paul Brodie, author and pod-caster interviewed me recently about my latest book, Planet Alt-Sete-Nine The Lost Princess, and the problems and trials of getting published. Paul is a professional who has dedicated himself to helping struggling writers. You can check him out, and learn more about his pod-casts here: https://www.brodieedu.com/services/. 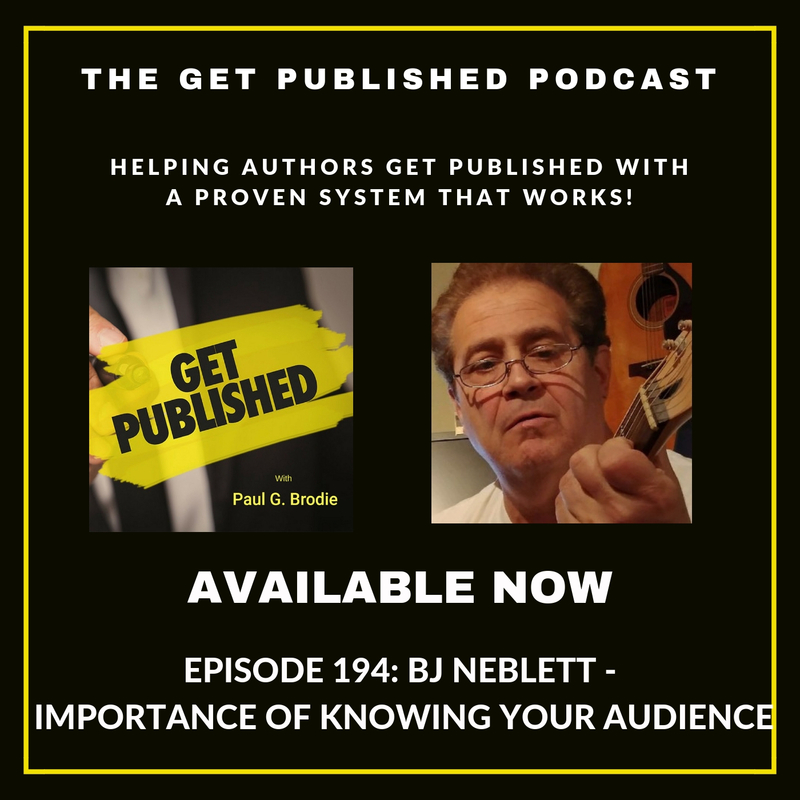 As for my own interview with Paul, you can listen to it here: http://traffic.libsyn.com/getpublishedpodcast/Get_Published_Podcast_Episode_194_BJ_Neblett.mp3. Hope you enjoy. Be sure to let me know what you think and be sure to pass along the link! As mentioned, I will be attending numerous Sci-fi/fantasy conventions, as well as comic cons and book and literary conventions. Here is just a partial list of the shows I plan to attend. Check back here as well as my web page www.bjneblett.com for updates. This is just a partial, working list. For more info on the above events simply Google the event name.